IEM’s fusible load interrupter product line is available in the 5kV, 15kV, and 27kV classes in outdoor non-walk-in, outdoor walk-in and indoor enclosures. IEM metal enclosed switchgear utilizes a compartmentalized construction isolating the bus, cable, and main switches and allowing for minimal maintenance and use of interior barriers. 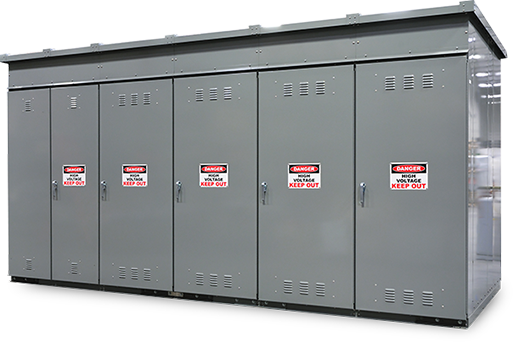 Metal-enclosed switchgear can be configured to meet unique physical and electrical requirements.